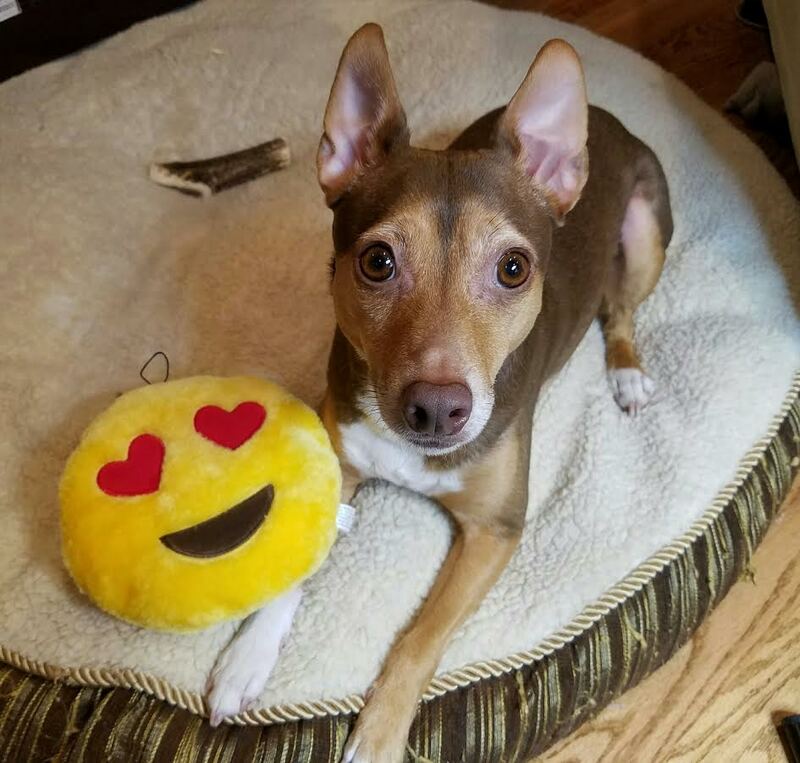 Heart Eyes Emoji- Bugsy immediately snagged this stuffed emoji and dragged out the fluff to get to the squeakers. These types of toys never last long around him. It's like they're gift packaging for the squeaker inside and he has to get to it as fast as possible. 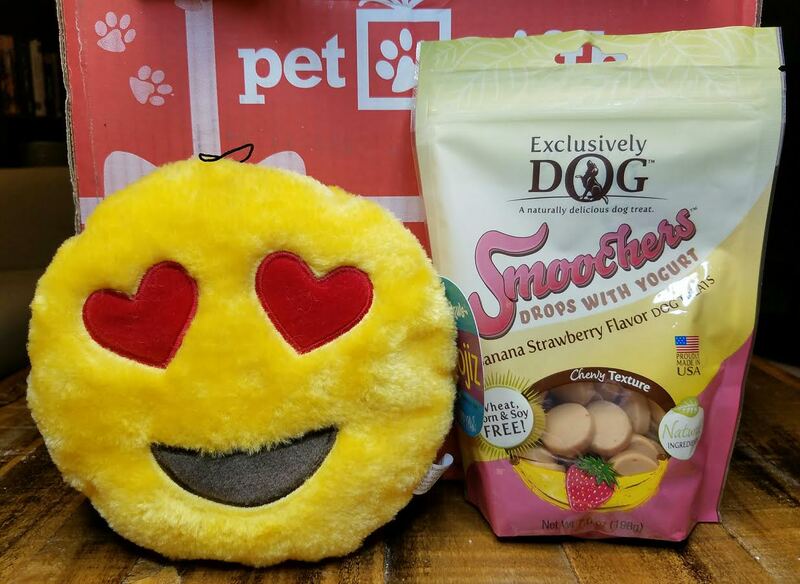 Exclusively Dog Smoochers Banana Strawberry Drops- These are fat, quarter sized treats that are slightly soft. They're easily broken in half or quarters and work well stuffed into a pocket. I took these with me to the vet with Dexter and he forgot about his nervousness in order to eat them. 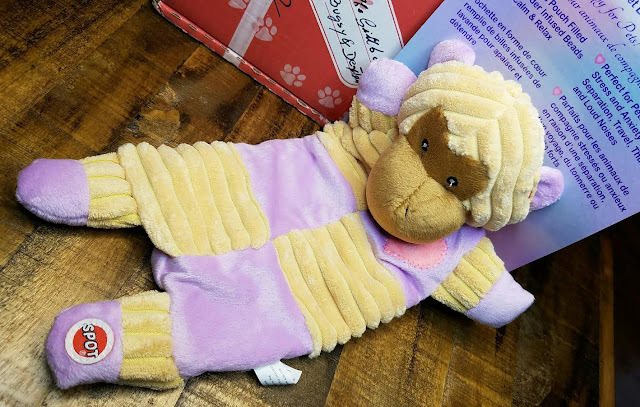 Spot Soothers Buddy- This has some lavender sachets inside for calming your pup. I don't actually think it works. At all. But Bugsy doesn't care and he played with this happily. It's got crunchy, crinkly innards that he likes. Bandana- I don't know if they know how big 20lb dogs are but this hasn't even a chance of fitting around my dogs' necks. Maybe a 5lb chihuahua. Bubba Rose Biscuit Company Love Cookie- These always go over really well. The boys each got half and nommed it quickly. VERDICT: PetGiftBox sends a good variety of toys and treats of middling quality. Nothing wrong with that, especially if it fits your budget. They do send treats made in the USA which is important to me. 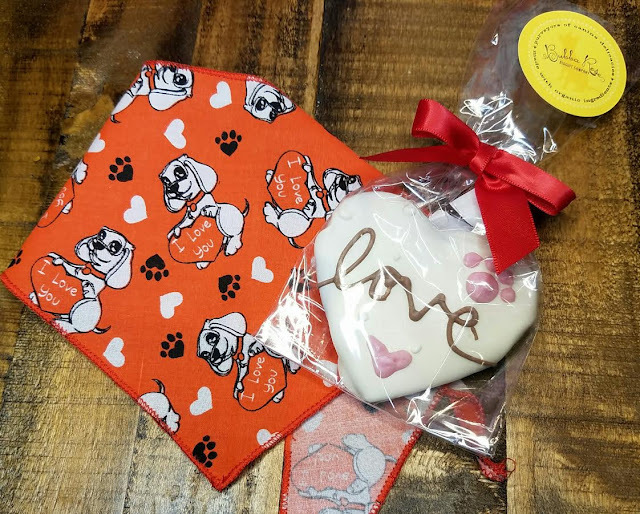 I just love the convenience of getting a subscription box for my dogs. I always have treats and new toys on hand because of it. I think it's good for keeping your pups engaged and busy. 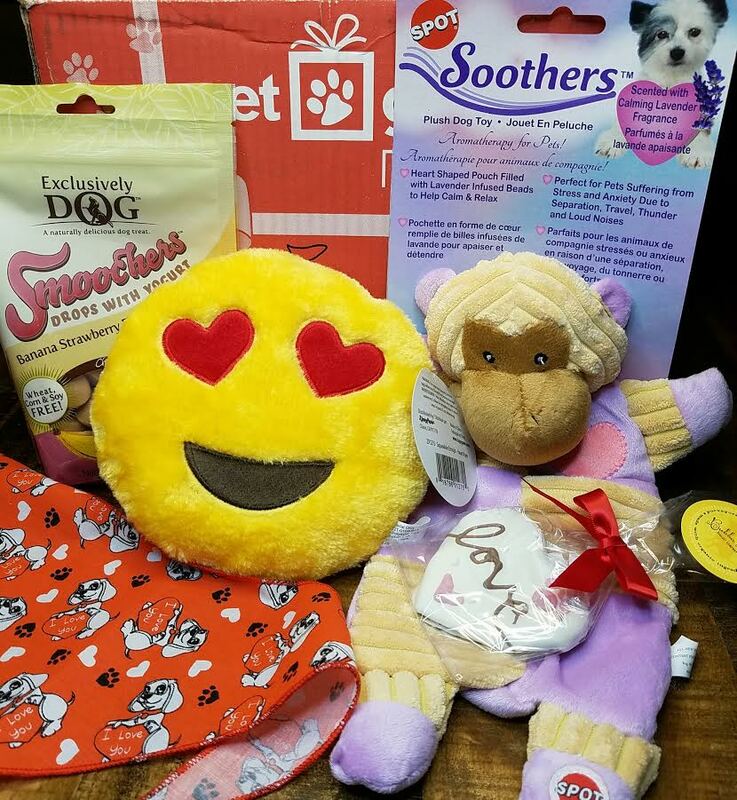 If you would like to sign up for PetGiftBox, you can do that here. Use code BITSANDBOXES to get 50% off your first box. That's a great deal for what you get. Don't forget they do cat boxes, too, and that coupon will work on those as well.